In wonderful news, Dr Symonds was recently awarded a $880,000 grant from the National Health and Medical Research Council to build on this research at the Flinders Centre for Innovation in Cancer over the next five years. 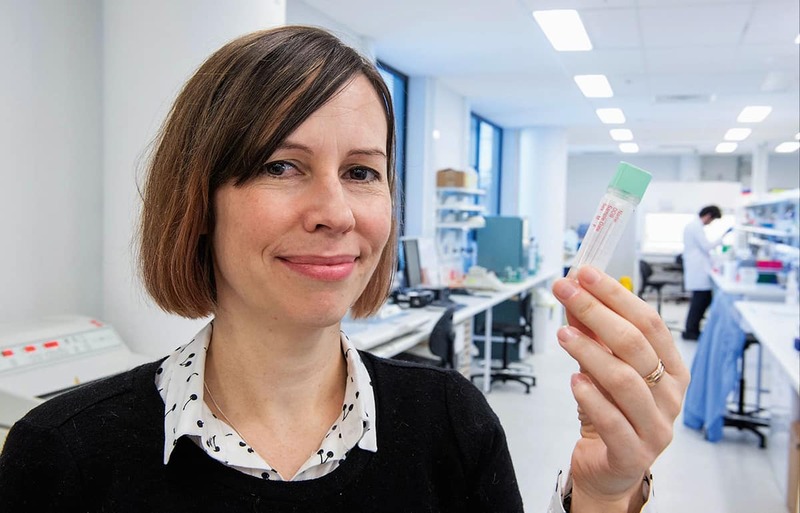 The funding will allow her to test whether the number of colonoscopies required by people at high-risk of bowel cancer can be safely reduced, based on results of their bowel cancer stool screening test. This work could lead to improved surveillance of bowel cancer, reduced waiting times for colonoscopies and less risk to patients from the procedure. Flinders Foundation's annual seed grant program is made possible thanks to your donations, and generous support from fundraisers and South Australian organisations including Mr Riggs Wine Company, Drakes Supermarkets and Foodland, and events such as the Pink Yellow Blue Ball, Bay to Birdwood and SA Police’s Ride Like Crazy. The grants of up to $25,000 per project help get the research projects up and running and give researchers the time and resources they need to prove their concepts and test data to then apply for larger sums from national and international funding bodies. Your support has proved very effective, with around 40 per cent of grant recipients going on to win grants of a much larger scale, facilitating substantial projects and results that make a difference to people’s health and lives. You can support more exciting health and medical research across Flinders. Donate here.